Wireless lighting controls make installation and maintenance easy for the contractor and MRO alike. A free whitepaper from the lighting experts at Steiner Electric examines the benefits of wireless lighting control technology and focuses on its capabilities and strategies such as ease-of-installation, scheduling, occupancy sensing, daylight harvesting, ability to integrate with other systems, energy saving, scalability and much more. The whitepaper will look at how wireless technology reduces installation time, deployment costs, and maintenance calls. It will showcase the types of lighting controls and strategies that can help reduce energy consumption, while improving the user experience. In addition, the whitepaper will detail the flexibility of today’s wireless lighting control systems and how they can be placed where needed throughout a facility, and scaled up as requirements change. To better understand wireless technology benefits, the whitepaper will feature two industry leading wireless platforms: Vive from Lutron and nLight® AIR from Acuity Brands. 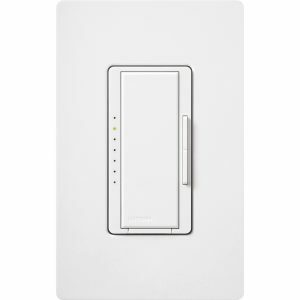 Lutron Vive wireless lighting control. Lutron’s Vive is a wireless lighting control solution for new and existing commercial buildings. Vive wireless solutions offer a multi-strategy approach that accommodates an array of budgets and current performance needs, while maintaining flexibility for future needs of a building. Acuity Brands’ nLight Air wireless lighting control. control solution that works in tandem with Acuity Brands’ diverse group of commercial LED lighting fixtures, which are embedded with smart sensors and utilize battery operated wireless wall switches. Users have the ability to regulate devices on any mobile device. These types of next generation wireless lighting controls are ushering in a multitude of benefits for contractors, MROs, designers, installers and end-users. For both new construction and retrofit projects on existing commercial buildings, wireless lighting control solutions, including Lutron Vive and Acuity Brands nLight® AIR, provide faster installation times, simpler maintenance, and easier scalability. Get your free copy of The Next Generation of Wireless Lighting Control Technology whitepaper to learn more. For further information, and to speak with an experienced Steiner lighting controls application engineer, please call 1-800-STEINER (783-4637). After a 20-year hiatus, LIGHTFAIR International (LFI) returns to Chicago May 6-10, 2018, and Steiner plans to make this show a memorable one. Join Steiner at LIGHTFAIR 2018 this May. 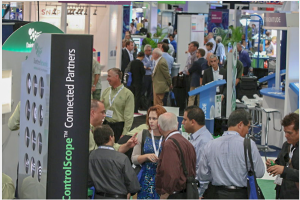 FREE: Exhibit hall pass ($99 value and good for duration of show). FREE: Hot Breakfast Buffet from Chicago’s iconic Manny’s Delicatessen. FREE: Tour of Steiner’s state-of-the-art Lighting and Technology Center. Steiner’s LIGHTFAIR event is co-sponsored by Acuity Brands, and Philips. With the free Exhibit Hall pass from Steiner, you can gain entry to LIGHTFAIR, the worlds’ largest annual architectural and commercial lighting trade show and conference. 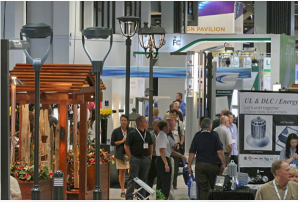 The show is considered the premier event for the lighting industry that focuses on a variety of topics, including connecting innovative design, cutting-edge style, state-of-the-art technology, networking opportunities, and continuing education courses. The show is expected to attract nearly 30,000 visitors to Chicago’s McCormick Place. More than 550 exhibitors are scheduled to showcase their wares throughout 6 pavilions. To view an exhibitors list, as of mid-March, click here. More than 550 exhibitors are scheduled to showcase their lighting wares at LIGHTFAIR 2018. LIGHTFAIR will also be home to educational courses and sessions beginning with pre-conference events on May 6 and running throughout the show. Topics include: lighting, design, technology, smart lighting, lighting and health, retrofitting buildings, managing LED costs and more. Accredited courses that range from 60 minutes to 2-day immersion sessions at every level, from Foundational to Advanced, as well as General courses. In addition, the show will feature a Smart Cities Forum and a Light & Health Forum. Both Forums take place on Wednesday, May 9, and offer six conference sessions. Forum sessions are available as a package or à la carte. The Smart Cities Forum explores how smart cities are leading lighting into the Internet of Things (IoT) where lighting enables digital technologies critical to the expansion of city services. The Light & Health Forum will explore light’s impact on humans as well as plants and wildlife. Buses Depart from Steiner’s Rockford facility at 6:30a.m. Buses Depart from Elk Grove Village at 7a.m. Buses Arrive at Steiner’s Lighting and Technology Center at approximately 8a.m. for a free breakfast and tour. Buses Depart for LIGHTFAIR at 9:30 a.m. for travel to McCormick Place. Every year, thousands of buildings are built or retrofitted. Every one of these spaces can benefit from lighting control that saves energy, improves comfort, and enhances productivity. Vive from Lutron is a simple, flexible and scalable lighting control solution that can help the facility manager, owner, tenant, contractor, maintenance personnel and other personnel to reap these benefits. The system is comprised of a full family of wireless devices that can be tied together to enable centralized control, monitoring and system integration. 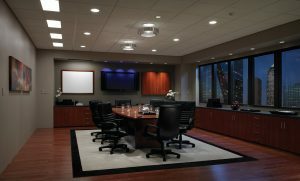 From conference rooms to entire buildings, Lutron Vive gives users complete lighting control. Vive can help buildings meet stringent energy codes, improve building performance, and do so on budget and on schedule. Wireless controls allow you to design options that provide the right functionality for each space in your building. 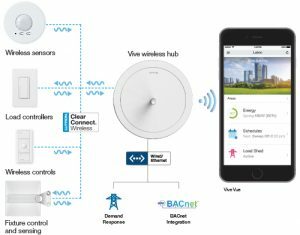 Vive is simple enough to deliver basic energy savings and robust enough to apply additional lighting control strategies such as time-clock scheduling, energy and system monitoring, demand response, load shed, and seamless integration to BMS via BACNet with software that works on any smart device. Vive lets you combine lighting control strategies to maximize efficiency such as occupancy/vacancy sensing, daylight harvesting, scheduling, demand response, plug load control, high-end trim, personal dimming control and even HVAC integration. Vive is a wireless, scalable product. Not having to hardwire each device makes for faster and less expensive installation costs. Built around a wireless hub, the Vive system allows you to add components and control as needed. Traditional installations can be labor intensive and complex to set up. Vive, on the other hand, is simple. Wireless control can be installed as much as 70 percent faster than traditional wired lighting controlled solutions. This reduces labor costs and minimizes disruption among workers and those utilizing the space. In addition, Vive helps meet lighting control code requirements for new construction and retrofits such as for ASHRAE 2010, ASHRE 2013, IECC 2022, IECC 2015, and Title 24-2016. Lutron utilizes its Clear Connect® Wireless technology to establish communications with lighting and building controls at a range of 71 ft (22M). Clear Connect operates on the 435 MHz band wave, while many other wireless technologies operate on the more traditional 2.4 gigahertz band wave. This 2.4 GHz band wave is much more frequently used, and this congestion could create problems that could cause a failure–which might be okay when streaming a movie, but lighting a commercial building is another story. Lutron chose 435 MHZ band wave because it is less busy; in fact, the FCC puts limitations on the amount of traffic that can operate over this wavelength. The limit makes it a much quieter band, and so the messages are able to get through more reliably. For the actual installation process, Vive offers wallbox mounting, ceiling mounts, and Vive-enabled fixtures on a standard junction box. Wallbox mounting allows contractors to replace an existing switch in a standard wallbox to control a group of lights, and it requires no new wiring. 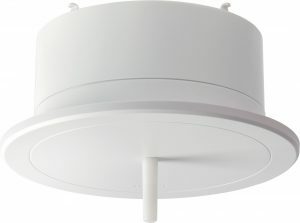 For the ceiling mount, PowPak modules mount on a standard junction box in the ceiling to control groups of lights. It saves installation time by eliminating wiring down through walls. Vive-enabled fixtures have wireless control and sensing built into the fixture. No additional wiring is required. For example, if a contractor or MRO is replacing a switch in a restroom where there is currently a toggle switch on the wall, the installer takes out that toggle switch and puts in either a wireless switch or a dimmer into that location without any new wiring. Simply commission the switch by holding the remote’s button down for several seconds. Vive is also easy to commission, which is a good thing if the installer and the person starting to use the controls are not one in the same. The person doesn’t have to climb on a ladder to find the load controllers, the Pico remote controllers can find nearby devices based on RF signal strength. Simply holding the button down for a few seconds does the trick. Another strength of the system is its sensing technology. 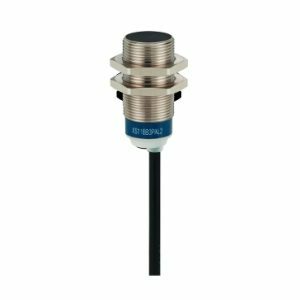 Standard PIR sensors are good at detecting major motion like a person walking; however, they have difficulty detecting less obvious movements. That is where the Lutron XCT technology comes into play. This “Cross Correlation Technology,” as the company calls it, can take measurements utilizing passive infrared sensors and sophisticated algorithms to distinguish the difference between background noise and actual motion. By fine tuning these waves, the sensor can go beyond simple major movement such as someone pacing the floor, to notice when someone is doing more passive actions such as working at a desk or reading a report and keep the lamps lit. So, Vive can control that one office fixture or it can also be tied into building management systems. A simple ethernet port ties Vive to other building systems. The BACnet/IP protocol is the primary means of integration. BACnet is embedded or native in the Vive wireless hub, which means no external interfaces or gateways are required to communicate with other systems. For instance, Vive can be tied into a buildings’ heating, ventilation and air conditioning system and utilize its occupancy/vacancy sensors to heat and cool individual rooms, floors or whole buildings. While some buildings have already begun integrating HVAC control into their building SOPs, in the future this capability might be required by code. Find the Right LED Lamp for Your Vive Wireless Solution. 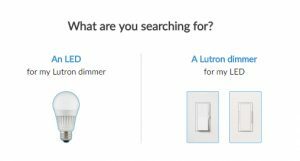 Ensure your lamps and dimmers are compatible with the Lutron LED Compatibility Tool. light a room or bigger space, it must have the appropriate lamp and controllers for the job. The good news is that Lutron has developed a selector to make the search easier. Select the LAMP AND LIGHTING CONTROL to fit your application or contact your Steiner lighting application specialist for assistance. For more information on Lutron Vive wireless solutions or LED compatibility, call 1-800-STEINER (783-4637) to speak with a Steiner lighting application engineer. The Electric Association’s Annual Conference and Trade Show is scheduled for Jan.25-26., and once again Steiner Electric will have a large presence at the event. The event is located at the Drury Lane Conference Center, Oakbrook Terrace. The trade show portion of the two-day event occurs on Jan. 25 from Noon to 6:30 p.m. and will be host to an estimated 75 vendors. Steiner Electric will be prominently featured in two locations at the facility. In the lobby, Steiner’s Power Division will highlight its Kohler Generators, including an onsite 30RCL Kohler generator. Steiner is an exclusive distributor of Kohler generators in the Northern Illinois region. 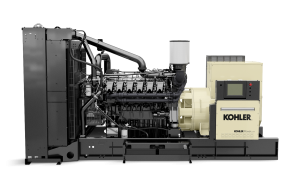 Kohler’s new KD series of powerful, quiet generators feature a Kohler-built diesel engine. Steiner power experts will be on hand to discuss your generator needs from smaller residential generators to the large, industrial KD Series. In addition, specialists will be available to discuss Steiner’s Powertron tap boxes. New UL-listed models are under development and will be available for purchase later this year. Be the first to learn more about these important, on-site quick connect generator docking stations. Steiner’s new line of Powertron tap boxes are under development and will be available for purchase in the first quarter of 2018. 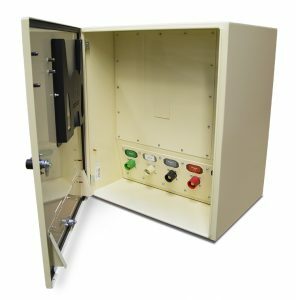 The new Powertron product line ranges from 200A to 800A and is cULus Listed 1008, and includes a Manual Transfer Switch (200A & 400A), Molded Case Breaker (200A to 800A), Phase Rotation Monitor, KIRK® Key Interlock, a Trapped Cable Door that is UL Verified and Patented, and enclosures that are outdoor rated and available in NEMA 3R and NEMA 4X. At Steiner’s booth in the main trade show hall, we will showcase lighting and lighting control products, electrical devices and more. One of the highlights at the booth will be tuneable white source technology. This tuneable technology enables design flexibility not available with a traditional fixture. With this LED technology, users can adjust the color temperature and intensity of a lamp in real time. Centrally located across from a lounge area near the facility’s bar, the booth will be staffed by lighting experts who can discuss your application needs. In addition to dispensing knowledge about the products that Steiner distributes, stop by our booth to spin-to-win our prize wheel, and drop your card for a chance to win our Grand Prize, a Milwaukee Insulated Heated Jacket. The 2018 Electric Association’s Annual Conference will feature education programs covering all industry segments and award CEU’s and PDH’s for participation in workshops. The event will include two days of conferences, the highlight of which are several seminars discussing the new Chicago Electrical Code. “Participation in this conference allows you to get a head start on all the major changes to the code,” says Carrie Spaeth, executive director of the Electric Association. Other seminar tracks focus on electrical system design, construction safety, solar energy legislation, as well as lighting education programs. This conference will feature programs for building owners, facility managers, contractors, electricians and more, covering all segments of the industry. If you are considering a lighting upgrade or you are bidding on a lighting job for the Standard or the Public Sector that would require ComEd incentives to facilitate, it is imperative that you follow new certification guidelines passed by Illinois legislation. Non-compliance will result in a loss of financial incentives. The Illinois Commerce Commission (ICC) requires the installing contractor to be certified in order to receive any utility incentives. According to Steiner Electric’s Lighting Division, contractors must fill out the application, send the appropriate “good standing” business form, an insurance form that has been notarized, and then mail that packet to the Commission. Then, the ICC will review the application. In accordance with the Future Energy Jobs Act, the Illinois Commerce Commission requires a trade ally company, i.e. contractors and home builders, to certify as an Entity Installing Energy Efficiency Measures. For tips on how to fill out and submit Energy Efficiency Measure Installer Certification Application, visit the Illinois Secretary of State website (where trade allies can obtain documentation stating that their company is in good standing with the state): https://www.ilsos.gov/corporatellc/CorporateLlcController. For additional information, contact your Steiner lighting representative or contact us at 847.956.3185. ComEd released its 2018 list of energy efficient lighting products for which certified contractors can receive ComEd rebates. 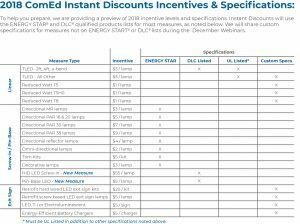 2018 ComEd incentives for energy-efficient lighting products. The list reflects two significant changes compared to 2017. High wattage LED lamps are now on the Instant Discounts List. These lamps replace 150W and greater HID lamps. The other change is that the public sector, such as public schools and municipalities, will now be eligible to receive these rebates. To help you better understand the available lighting incentives, contact your local Steiner lighting consultant by calling 1-800-STEINER (783-4637) or visit one of Steiner Electric’s convenient locations and we will help you sort out your lighting needs. Steiner’s lighting experts can help determine the most appropriate lighting technology for a job, and help ensure that you receive the most bang for your lighting buck. Cities around the world are switching to LED street lights as a way to save both energy and money. The LEDs have a significantly longer life expectancy than other types of lights, resulting in fewer replacements and lower costs associated with maintenance. In the U.S., LED’s used in area/roadway lighting have achieved 28.3% market penetration nationally, with parking garage fixtures achieving a 32.5% market penetration. Even Chicago is embarking on a Smart Lighting Project. The project’s goal is to replace 270,000 of the city’s light fixtures, which now use less efficient high-pressure sodium lamps, with new LEDs. In addition, the plan calls for the installation of a state-of-the-art lighting management system that enables remote monitoring and control of the City’s outdoor lighting system. In the Chicagoland area, Steiner Electric is a leading distributor of outdoor LED lighting and controls. We have a vast inventory of lamps, controls, retrofit kits, and other lighting related items from leading suppliers including Philips, Eaton (Cooper), Lithonia, and RAB. 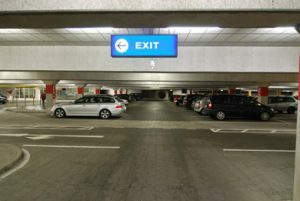 Lithonia’s D-series of LED lighting for parking garages and canopys. For instance, the Lithonia D-Series LED Parking Garage luminaire provides energy savings of 88% when replacing 175W metal halide luminaires. With an expected service life of over 100,000 hours (10+ years of 24/7 operation), up to five metal halide lamp changes are avoided over the life of the product. All of this adds up to quick paybacks and a very low total cost of ownership. In addition to stocking products from the leaders in the lighting industry, Steiner also employs an experienced and dedicated cadre of experts who can help determine the best lighting plan for your applications, including those concepts spelled out in the DOE database. The U.S. Department of Energy’s Snapshot report on LED outdoor area lighting is based on the agency’s LED Lighting Facts database. The Website features areas of growth such as outdoor area/roadway luminaires (including street lighting and wall packs), parking garage luminaires, and canopy luminaires such as those used for gas station fuel pump areas. Retrofit kits and dedicated luminaires in these categories are not considered separately, as only in the area/roadway category did retrofit kits make up a notable percentage (8%) of the products listed in the category. Outdoor area lighting remains a major component of the LED Lighting Facts database, and of the lighting market in general. Combined, the three types of outdoor area luminaires considered in the Snapshot make up about 26% of the database. 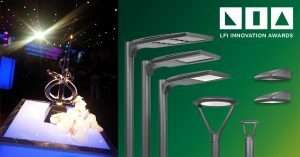 LED outdoor area-lighting products are available in a wide range of outputs and color characteristics, allowing the specifier to match the needs of the project. At any given output level up to the equivalent of 1,000 W HPS (about 100,000 lumens delivered), LED products are available with substantially higher efficacy than that of their conventional counterparts. There is a wide range in efficacy for LED outdoor area lighting products. To help you better understand the available outdoor lighting options, contact your local Steiner lighting consultant by calling 1-800-STEINER (783-4637) or visit one of Steiner Electric’s convenient locations. Intelligent lighting systems are being widely touted as the future of the lighting industry. With the proliferation of lighting fixtures such as LEDs and others in the market, the smart lighting industry is set to dominate a plethora of applications ranging from commercial to outdoor applications, according to a new industry report. According to the report, Smart Lighting Market Research Report – Forecast to 2021 from Market Research Future, the global market for Smart Lighting is expected to reach up to $59.973 billion by the end of 2021 and is expected to grow at a CAGR of ~19-21%. The major factors contributing to the growth of the Smart Lighting market are driven by continuously declining average selling price of LED lamps and the influx of smart apps, the internet of things and remote access and lighting controls. In terms of components, sensors such as proximity sensors had the largest share in the global Smart Lighting market, and it is expected to grow at the highest CAGR among all the projects considered in the study. Winter is right around the corner and when the snow starts accumulating and the temperature starts to fall, the season of ice, snow and cold can turn a workplace into a survival of the fittest. If you or your employees work in the field or in any location where winter weather presents safety concerns, you may wish to take some precautions. Steiner Electric and some of its vendors can help. A Winter Workplace Safety Counter Day has been scheduled to run at our Rockford branch on Oct. 31, from 11am-1pm. The event will bring vendors of personal protection equipment, heating technology, lighting and lighting controls. Because equipment can also be at risk, technology on display will showcase portable testing equipment that can capture test data and have the information delivered to anyplace around the world. Winter-related slips and falls, frostbite, hypothermia and more can result in time off work, temporary employee costs, overtime for existing employees, and increased insurance costs. When it comes to personal protection, the head, ears and noses are among the extremities that get cold the fastest and must be protected. Protective Industrial Products (PIP) will showcase a selection of gloves, head gear, and liners that helps protect workers. Headware includes 2-layer cotton models with mouthpiece, insulated ear barriers, and which have been FR (flame resistant) treated. They come in mid lengths and shoulder lengths. For its gloves and sleeves, PIP uses Dyneema® and DuPont® advanced fibers as well as other proprietary engineered yarn blends and coatings to meet ANSI and EN standards. Breathable cut resistant gloves allow for dexterous work with wires and other components. Some versions can be used for dry and light-oil applications, and offer good grip and excellent abrasion resistance. PIP will also feature air-activated hand warmers. 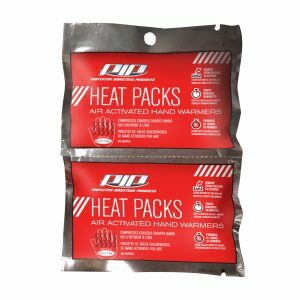 The Heat Pack Mini Hand Warmers, which uses oxidation from the interaction of iron powder, activated carbon and water when it is exposed to air, provides 8 hours of warmth. It can be activated and reach full temperature in 2-5 minutes. Heating can be suspended at any time by resealing the inserts in an airtight container. Frozen pipes can be an aggravating experience for maintenance workers no matter the location. Pentair’s Raychem self regulated cable. Pentair’s Raychem products on display include self-regulating trace heating cables that are used for frost protection of pipes, temperature maintenance of process fluids, tank heating, and other applications. The self-regulating heating cables automatically adjusts its power output to compensate for temperature changes. According to a Pentair video explaining the process, a protective core surrounds two parallel conductors. As the ambient temperature drops, the core contracts microscopically and the number of electrical paths increase and generates heat. Conversely, as the temperatures increases, the core expands and the number of paths decrease. Pentair will showcase its Raychem QuickNet and Nuheat floor-heating systems. These products are for installation under tile, granite, marble, stone, laminate and engineered wood flooring. Also on display is the T2Red electric underfloor heating cable that the company says is ideal for temperature sensitive floors such as wood, laminate as well as for natural stone, and ceramic tiles. The self regulating cable can be cut-to-length on site, and can be overlapped or narrow spaced without danger of overheating, the company says. Cold weather can also play havoc with lighting, especially fluorescent and high-intensity discharge (HID) lighting. On display in Rockford will be a series of lamps and ballasts that work well in the cold. In addition to the lamps, some of the latest in lighting-control technology will be on display. For those looking to replace lighting technology that works well in outdoor cold temperatures, then LED might be the answer as they tend to work better in this environment. Cold weather helps the LED stay cool. RAB will display wall packs and area lighting. Models on display include the RAB HPS Wall Packs for wide light distribution that feature a die-formed aluminum reflector and a prismatic polycarbonate refractor. 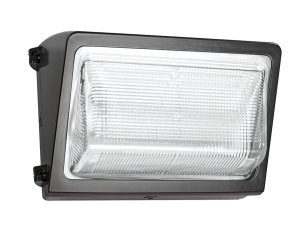 Metal halide RAB Wall Packs feature symmetrical light patterns to maximize lighting distances between fixtures, while the prismatic optics minimize glare. For security and energy efficiency, RAB will showcase CFL motion controlled Wall Packs that are fully adjustable for 24-hour operation and feature custom applications. In low-temperature environments such as refrigerated areas, fluorescent lamps can experience adverse performance problems such as “fluttering,” reduced light output and difficulty starting by a traditional ballast. Cold weather ballasts from Philips can start the fluorescent lamps at temperatures expected to be below 50°F. 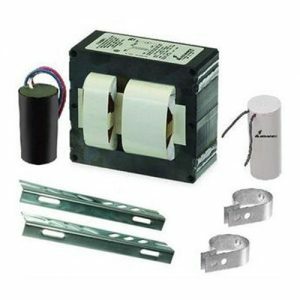 Cold weather electronic and magnetic ballasts can be specified for lamps that can start them at temperatures as low as -20°F. Philips will also be showcasing some of its vast range of LED products. 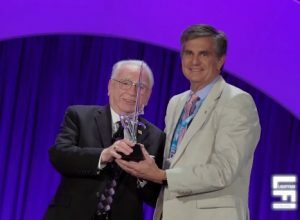 Since its 2014 introduction, Fluke Corp.’s Connect technology has won awards from trade show judges, such as the AHR Expo, and from many trade magazine award competitions (EDN, Control Engineering). The technology allows data collected from a growing number of the company’s handheld instruments such as its multimeters, infrared thermometers, and AC/DC current meters, to be shared via Smartphones to anywhere in the world. 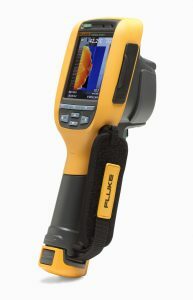 Thermal imager with Fluke Connect. Fluke Connect Assets is a cloud-based wireless system of software and test tools that gives maintenance managers a comprehensive view of all critical equipment — including baseline, historical, and current test tool measurement data, current status, and past inspection data — enabling them to set up and sustain a preventive maintenance or condition-based maintenance system easily with minimal investment.